Sensory Processing Disorder seems to have become a buzz word recently but if you have been living with it in your family for as long as we have (almost 10 years) you will know that it is anything but “recent”. Many of us struggle with “sensory issues” daily (itchy clothes tags? – certain smells turn your stomach?). It really isn’t as recent as many would think, but what is recent is the ever growing understanding among our communities about what Sensory Processing Disorder is and what it means for the child/adult diagnosed with it. As a parent I am thrilled so see that awareness reach the classroom where in the past a child trying to navigate through their sensory overload would have been labelled as a “troublesome/disruptive” child. I have compiled a short list of Children’s Books about Sensory Processing Disorder that we have here at home. I have either purchased these books independently, been given some as a present or they were recommended to me by a Therapist. There are so many brilliant books available online, here are just a few I have chosen specifically for children to learn about Sensory Processing Disorder. This is Gabriel, making sense of school. Author: Hartley Steiner. 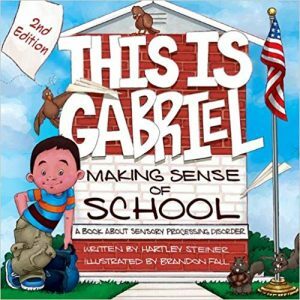 This is Gabriel: is a primary-level book, full of vital information on Sensory Processing Disorder (SPD) and how it impacts his experience at School. There are several sections within the book and they cover the topics of SPD behaviours / symptoms, how they are experienced by the book’s protagonist, Gabriel. It provides information on how he can learn best in his classroom (and similarly how children like him, can too!). It gives several examples of what to use/what to do for different difficulties facing a child with SPD. Noise cancelling headphones to block out noise, fidgets to play during quiet time. The book is filled with beautiful illustrations, with lots of text to read. In my opinion it is aimed at Educators to help them see what was once thought to be “problem behaviours” to now be really a symptom of SPD. I do however feel it is an invaluable resource for family and other Care givers to have in the arsenal. It is one book that will be staying on our book shelves here at home. As you know I have an 8 year old and a 4 year old with Sensory Processing Disorder (among other diagnosis), I have to say we really enjoyed this book that we received as a gift from a friend a few years ago. 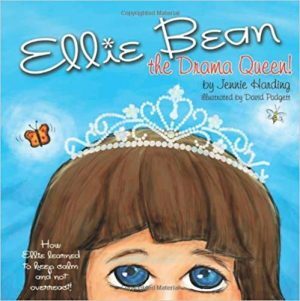 Ellie is mistaken as being a Drama Queen because of the way she acts. It is a picture book that helps children like Conor and Jack understand that they are not on their own, there are other children like them. Like them: Ellie is helped by a special swing, mini-trampoline, and even a small brush for tactile stimulation. It also provides Adults with some helpful tips on how to manage and to understand better what a child with Sensory Processing Disorder is going through instead of just assuming they are “acting out”, to realise instead that they are having a very hard time coping with a disorder that is quite overwhelming. A cute and fun picture book aimed at Primary Level children. It helps children to learn all about Sensory Processing Disorder and it helps children who have SPD to understand they can help themselves. The only negative I have on it is that it refers to the children’s SPD behaviours as “silly” which as a parent of children with SPD, I find that to be derogatory. However, over all I feel it explains what it is to have SPD quite well and it encourages children to be independent and proactive in taking control of their disorder and helping themselves. It has been endorsed by Dr. Temple Grandin. Arnie and his school tools is an illustrated children’s book, that tells the story from Arnie’s point view. The reader learns that he is a fun-loving young boy, who has found it difficult to pay attention in class. We find out that he learns to pay attention finally when his Sensory Needs are met. 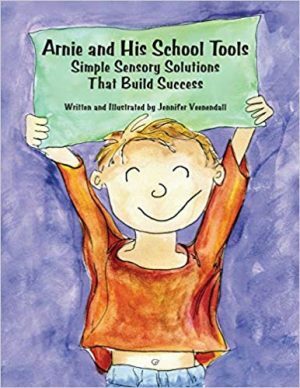 Each page is filled with some excellent strategies and sensory tools on how to help best while at school and at home. I really liked this book as a parent as it encourages acceptance and understanding along with the need to accommodate the needs of others, so they too can participate fully in life at school and at home. The book was inspired by the Author’s daughter, Jaime who struggles with SPD. 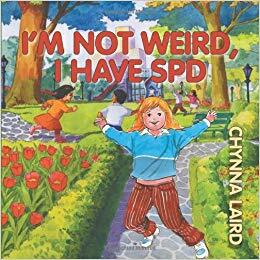 The illustrations are beautiful and like the books mentioned above it really gives children with SPD someone to identify with. 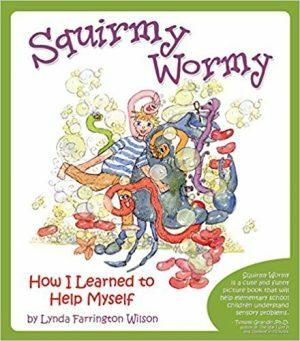 The Author wrote the book to help her daughter to validate her feelings in that other children feel things the way she does too. It is an excellent book to encourage children to explain to others about their SPD, what they go through and how it makes them feel. 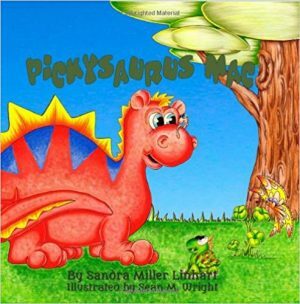 Pickysaurus Mac is not your typical dinosaur. He struggles around mealtimes as he is a picky eater. Sometimes the smell of the food or the taste of the food to eat makes him feel unwell and overwhelmed. Although it is a super fun and brightly coloured book, it deals very well with the topic of food aversions and SPD. It will appeal to the parent who has child struggling with food refusal but also to the child themselves as the story is told in a really fun way that is empathetic to the way they may be feeling and struggling. As you may know from following the blog, my oldest Son Conor (8) has struggled with food aversions all his life and to this day is very restrictive in what he will or will not eat. I really liked this book as a parent as it reminded me again that Conor is not being troublesome refusing certain types of foods (anything green apart from Granny Smith Apples randomly). Green foods make him feel ill. Sometimes the food can taste like garbage in his mouth. Mealtimes pose a special problem for our picky little friend. Sometimes foods smell too gross to eat, they taste different than they look and their textures feel like garbage in his mouth. His friends tell him to eat right to stay healthy, but some things you just can’t fix with words. Will Pickysaurus Mac ever find something he likes? When he finds he likes it, will it be the best food for him? Will he find it in time? 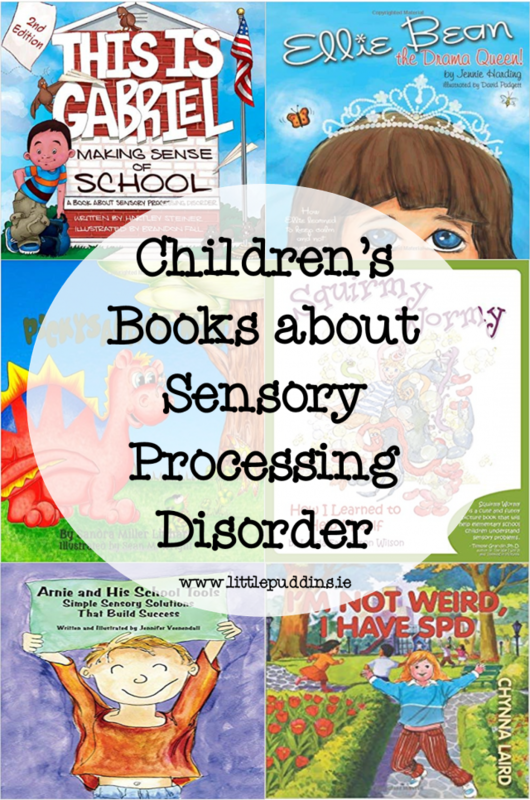 I hope you enjoyed my short list of books for children about Sensory Processing Disorder. I would love to hear your recommendations!